Rockland County Executive Ed Day honored top blood donors at an award ceremony held Wednesday, which was also World Blood Donor Day. The event was the first time that top Rockland blood donors were recognized. It occurred as a blood drive hosted by the county and run by New York Blood Center was taking place. Retired FDNY firefighter Jeff Cool of Pomona spoke about how he needed 72 units of blood to survive after he suffered devastating injuries during the Black Sunday Bronx fire in 2005. 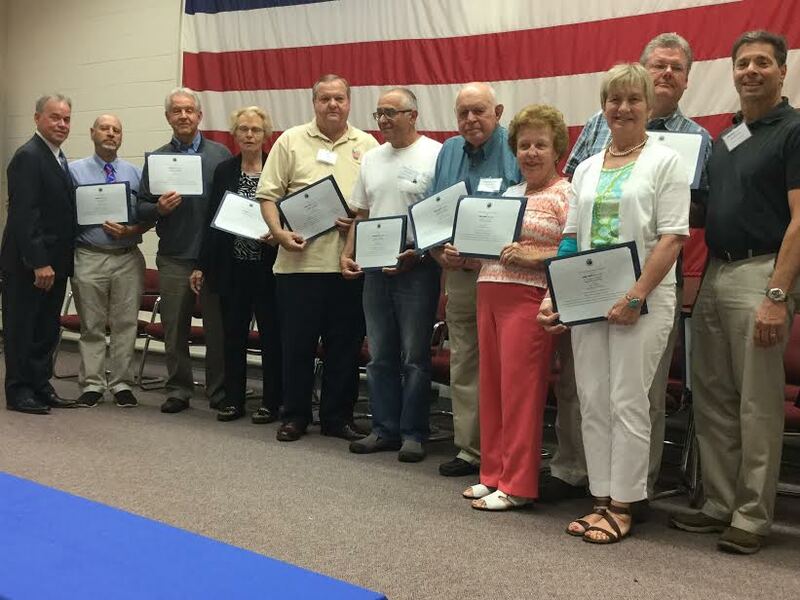 Rockland residents honored as top donors included: Catherine LaBate, New City; Alan Reiman, Stony Point; Richard Satawa, Valley Cottage; Armando Dibiase, Pomona; Robert Bechner, Palisades; Thomas Vetter, Garnerville; Joan Maloney, New City; Timothy Lockwood, Piermont; Barbara Matone, Stony Point and David Friehling, Congers. Numerous Rockland organizations were also honored for their donations, including Tappan Zee High School, North Rockland High School, Ramapo High School, Dominican College, Stony Point PBA, St. Ann’s Church, St. Augustine’s Parish, St. Catharine’s Parish, New City Ambulance Youth Corp, Nyack Seaport and Friends of Mindy Cohen. The next Rockland County blood drive will be held from 8 a.m. to 8 p.m. August 23 at the Rockland Fire Training Center. The New York Blood Center declared a blood emergency in June. For information about blood drives, call 1-800-933-2566 or visit:www.nybloodcenter.org/blood.